My nephew is 10-years-old, is obese, and has type-2 diabetes. He wasn't raised to eat healthy, and my sister and brother-in-law don't always do the best to encourage good eating habits. One place they have no control over my nephew's diet is at school. He's in 5th grade in a public school in northern Manhattan. He often tells me what he has for breakfast and lunch at his school, and laughs when he sees my reactions to what he describes. Bagel sticks with cream cheese and jelly, cinnamon twists, juice, and chocolate milk are just a few of the items he brags about that taste good. New York City's public schools have come a long way in improving the quality of school food over the years. The city has worked hard to make school meals healthier than other cities across the country, and the Obama Administration was on the same page when it passed the Healthy, Hunger-Free Kids Act in 2010, which aimed to serve more nutritious and fiber-dense whole grains and less flavored milks, which contain harmful added sugars. But then came President Trump, and in December 2018 his administration weakened the law by reversing limits on sodium, allowing flavored milks and reducing whole grain foods in school food. Earlier this month a coalition of state attorneys general and two food policy advocacy groups sued the Trump Administration for violating the Administrative Procedure Act and the Healthy, Hunger-Free Kids Act by authorizing the reversal last December and bypassing legal requirements. As a graduate student at NYU’s Robert F. Wagner Graduate School of Public Service, I’m passionate about improving public health (like my 10-year-old nephew's) through improved food and public health policies. I wrote a food policy brief last fall for one of my classes, arguing that New York City public schools should eliminate flavored milk during breakfast and lunch and instead offer plain milk as the default. It also proposed making 100% fruit juice available during breakfast and only upon request by the student. Using evidence-based research, I explained that both flavored milk and 100% fruit juice are large contributors to diet-related chronic diseases like obesity and type-2 diabetes, which affect not only many adult New Yorkers, but children as well. 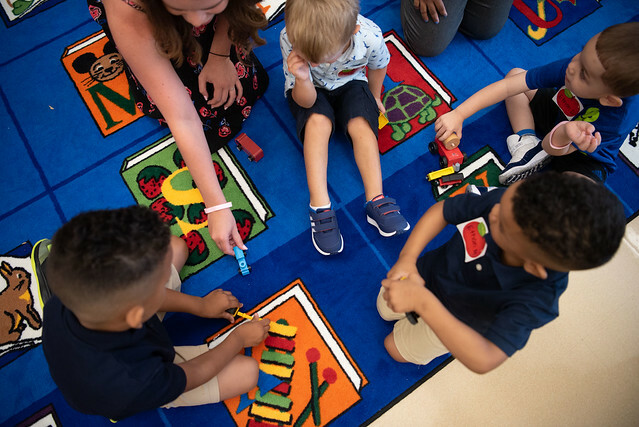 According to the New York City Department of Health and Mental Hygiene, one in five city kindergarten students is obese. Studies show that obese children are at increased risk of becoming obese adults, and statistics show that obesity is more prevalent among black and Hispanic people compared to those of other races. There is already strong scientific evidence linking poor quality school food, like flavored milks, to diet-related chronic diseases. However, many people (even doctors and nutritionists) are misled that 100% fruit juice is healthy. The sugars in these juices, even though all natural, are just as bad as added sugars in soda. Sugars in whole fruit are filled with fiber, so it's filling and hard to eat a lot of. Sugar in whole fruit is delivered slowly to the liver, which more easily metabolizes the sugar without being overloaded. Fruit juice, without the fiber, sends a large amount of sugar quickly to the liver, just like when you consume a soda. Most of the sugar in fruit juice is fructose, and the liver can only metabolize it in small amounts. When the liver is overloaded with fructose, some if it turns into fat, and some of it stays in the liver, causing non-alcoholic fatty liver disease, insulin resistance, and eventually type-2 diabetes. Advocates like Dr. Robert Lustig, Professor emeritus of Pediatrics, Division of Endocrinology at the University of California, San Francisco (UCSF), have been warning America about this metabolic epidemic for years. School districts across the country have been trying for years to improve the quality of school food to make it healthier for children. The trend started in 2006 in Berkeley, California. There, under the direction of Chef Ann Cooper, then Director of Nutrition Services, the city banned chocolate milk from their school district. Chef Cooper moved to Boulder, Colorado, in 2009, and did the same for that school district. In 2010 Washington, D.C. and Fairfax County, VA both eliminated chocolate milk from their public schools. In 2011 Los Angeles removed all flavored milks, becoming the largest school district in the country to do so (even though in 2016 they reversed the policy as a result of pressure from the dairy industry). In 2013 Montgomery County, Maryland banned strawberry milk from its schools. In 2014 Connecticut considered removing chocolate milk from all schools in the entire state, but ultimately the governor didn’t sign the bill. Finally, in 2017, San Francisco removed chocolate milk from all of its schools. At the time I was writing my food policy brief for my NYU graduate class, the Trump Administration announced that it was rolling back school nutrition standards, and I mentioned it in the brief. The Trump Administration thinks it can reverse policies that have taken years to fight for and implement without following legally required procedures. I applaud New York Attorney General Letitia James for leading this coalition of attorneys general who brought on this lawsuit. 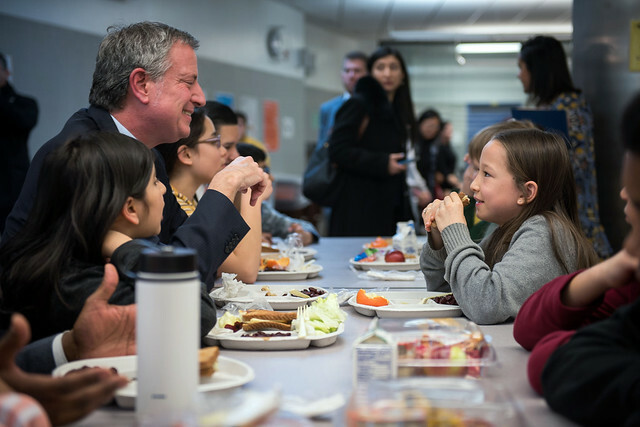 New York City has worked hard to improve the quality of its school food and usually is a trendsetter for the rest of the United States when it comes to public health (see: smoking ban, menu labeling). The city needs to continue striving for excellence in public health policy and to help make New York City children healthier. Stopping irrational policy reversal decisions with lawsuits may be the only way to fight the Trump Administration, which doesn’t seem to care about the childhood obesity and type-2 diabetes epidemics currently facing New York City and the rest of the United States. I do care. I care about my nephew's health and future, and I intend to contribute to positive change in public health not only in New York but the rest of the country. Won’t you join me? David Lundquist is an Executive MPA student at NYU’s Robert F. Wagner Graduate School of Public Service and works for NYU Langone Health. 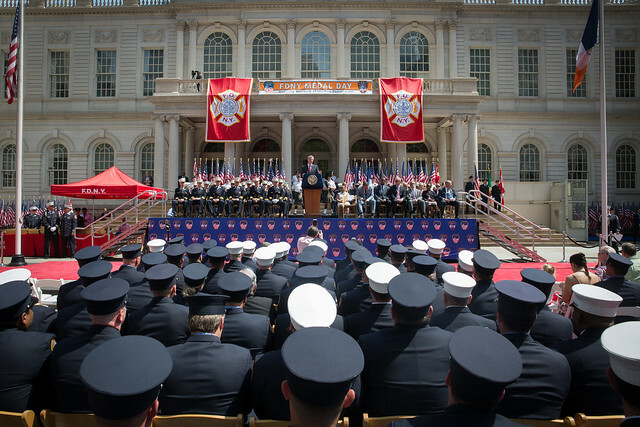 In the fairest big city in America, everyone deserves the opportunity to be employed. Unfortunately, the reality is that people with disabilities in the United States are twice as likely to be out of the workforce as their nondisabled peers. Data collected by the Bureau of Labor Statistics at the U.S. Department of Labor shows that the proportion of Americans with disabilities ages 16 to 64 that was employed last year was only 30.4% compared to 74% for non-disabled individuals in the same age group. In New York City alone, 79% of working-age people with disabilities are currently jobless according to the most recent U.S. Census statistics. This staggering disparity is one of the most pressing challenges to full accessibility and independence of the disability community. 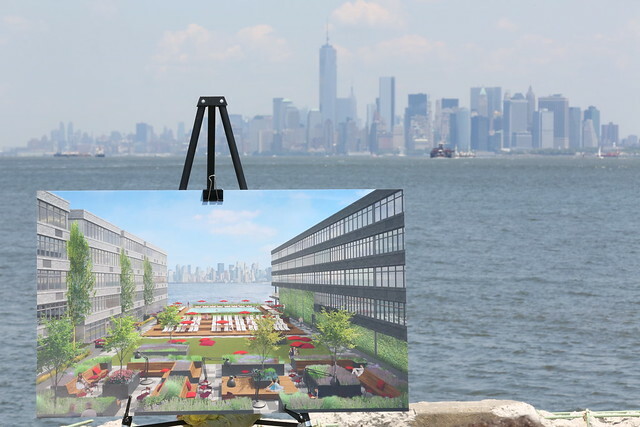 New York City is doing our part to increase the employment rate of people with disabilities. The Mayor’s Office for People with Disabilities’ (MOPD) NYC: ATWORK program is a first-of-its-kind public-private partnership, with funding from the Poses Family Foundation, the Kessler Foundation, and the Craig H. Neilsen Foundation, that directly connects people with disabilities to prospective employers. For example, Chelsea Dimond is a person with a disability who reached out to NYC: ATWORK after she was previously unsuccessful in finding employment through traditional job-seeking websites. After getting guidance regarding the search and interview process, she was ultimately hired as a Peer Respite Worker by Transitional Services Inc. New York. On NYC: ATWORK’s assistance, Chelsea says: “This program took note of exactly what kind of job I was interested in and made a perfect match for me. This job feels like it was meant to be, and now I’m able to make a difference in the lives of those who have mental illnesses like myself.” Chelsea is only one of many examples of successful placement by NYC: ATWORK. 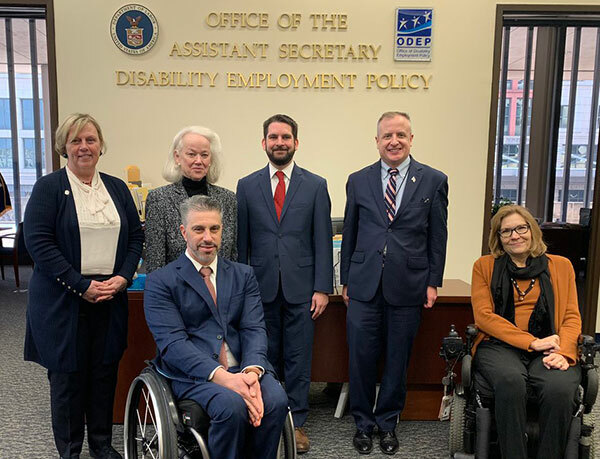 The overall goal of this three-year initiative focuses on connecting 2,100 individuals with disabilities to internships, jobs, and careers in their field of choice. The City’s proactive approach to increasing employment for people with disabilities is rooted in the understanding that a good job and financial security are crucial to personal and professional independence. Before connecting with NYC: ATWORK, Simon Bondar was living with his parents. After working with MOPD on his resume and interview prep, he was hired by UNIQLO as a Sales Associate. With this new line of income, Simon was able to move into a new apartment with his wife. 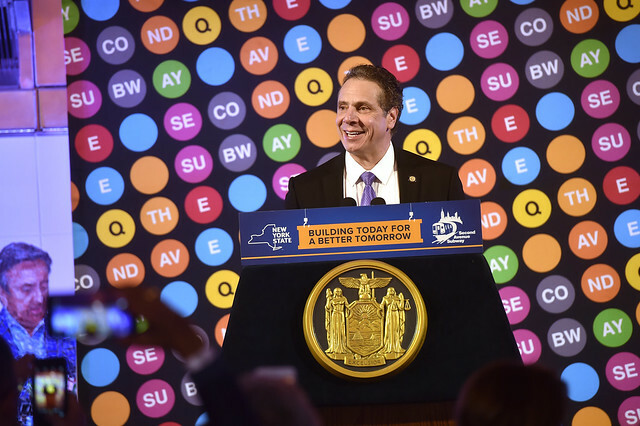 New York’s business community plays a crucial role in hiring more people with disabilities, in turn creating a more inclusive workplace that leverages the diversity of its employees. 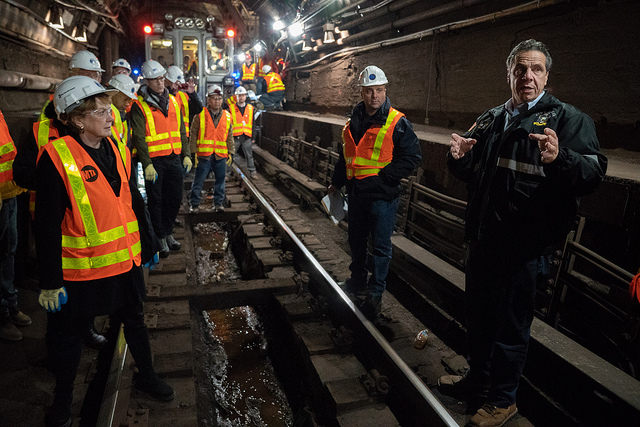 Through NYC: ATWORK’s Business Development Council, the City has fostered relationships with companies across a variety of sectors including finance, hospitality, transportation, retail, and technology. Additionally, the New York City Council has hired its first-ever liaison to New Yorkers with disabilities. Together, the de Blasio Administration and Council are dedicated to including disability in conversations about diversity in hiring practices and society at large. Having an employee with a disability can be a catalyst for a cultural shift to a more inclusive workplace. Nondisabled business owners are more likely to think about accessibility and ultimately improve the company for all of its employees and customers alike. These employment opportunities also extend to city government where the 55-a program has paved the way for qualified people with disabilities to get hired without needing to take a Civil Service exam. By obtaining employment, a person with a disability will therefore not only gain the tools they need to live independently but will also make a positive impact on their employer and the community at large as well. While New York City has made great strides to improve the lives of people with disabilities and many businesses have joined us in hiring members of the disability community, we know this is just the beginning. It is imperative that societal attitudes shift to recognize that disability is an important aspect of a diverse work environment and, indeed, that people with disabilities are productive employees who will positively contribute to a business and the community. All of us must make a conscious effort to recruit, hire, and retain qualified people with disabilities. Only then can we have a truly inclusive society and make New York the most accessible city in the world. Victor Calise is the commissioner of the Mayor’s Office of People with Disabilities. City Council Member Justin Brannan represents parts of Brooklyn. On Twitter @NYCCalise & @JustinBrannan. The burgeoning progressive prosecutor movement seeks to distinguish between old guard prosecutors and new candidates who promise to address mass incarceration and the criminal law’s disproportionate impact on people of color. In many elections, the contrast between the old and the new is readily apparent, but in Queens County the candidates seeking to succeed long-serving and retiring District Attorney Richard Brown are battling over who will be the most progressive prosecutor. Reflecting on that statement forces one to realize just how punitive prosecutorial practices have become. It is tragic that a prosecutorial candidate’s position of locking up as few people as possible is described as radical. The recognition that decades of hyper-aggressive policing and punishment have made such a fundamentally humane and moral statement seem not just progressive but “radical,” is made more apparent when you consider the self-described progressive positions staked out by most District Attorney candidates – i.e., declining to prosecute marijuana charges; not requesting bail in most misdemeanors; not seeking the maximum sentence in every case; etc. 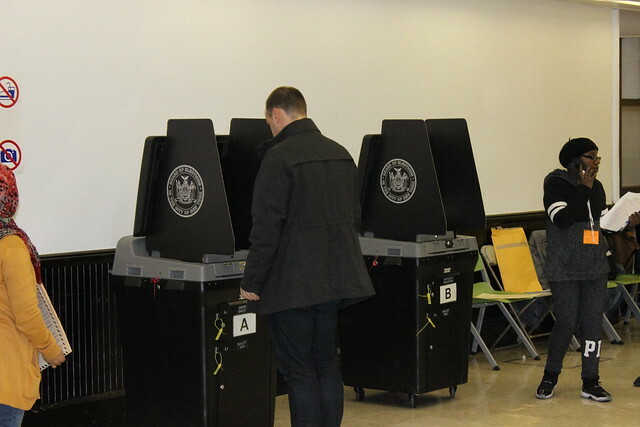 Those positions, however beneficial to the accused, are hardly radical and are espoused by virtually every candidate in the Queens District Attorney race. It therefore behooves those searching for a progressive candidate to try and figure out who might truly be progressive, let alone radical. 1. The Queens County District Attorney, unlike any other prosecutor in New York City, insists that there will be no plea offer unless the accused waives their statutory right to a prompt grand jury presentation. Will you commit to immediately ending that practice? 2. New York’s highest court ruled that the Queens District Attorney’s pre-arraignment interrogation program was unconstitutional. Will you commit to immediately ending any vestige of that practice and, to guard against any similar kind of abuses, commit to not conducting any interrogations unless and until the accused has been provided with an attorney? 3. 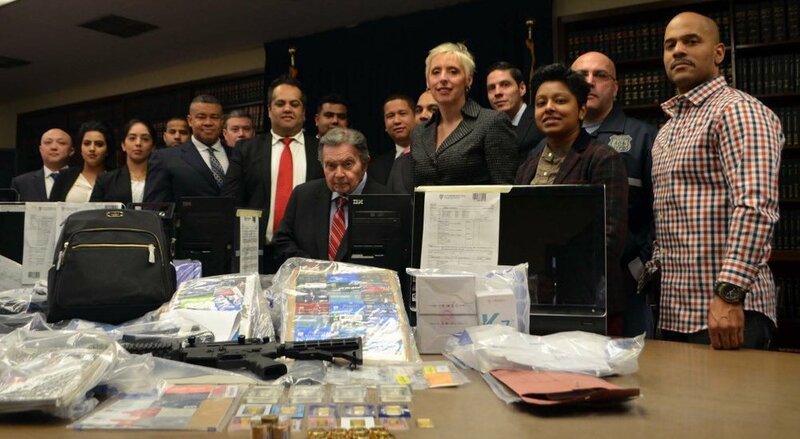 A case is currently pending before the Second Circuit Court of Appeals where it is alleged that the Queens District Attorney had a practice of deliberately insulating prosecutors from their duty to provide the defense with exculpatory evidence. Will you commit to immediately ending that and any similar practices? 4. Recent legislative reforms will require that the prosecution provide the accused with discovery within 15 days of an indictment. Fifteen days is the outermost date. Will you commit to providing discovery within one week? Will you commit to providing the accused with basic police reports at arraignment? 5. 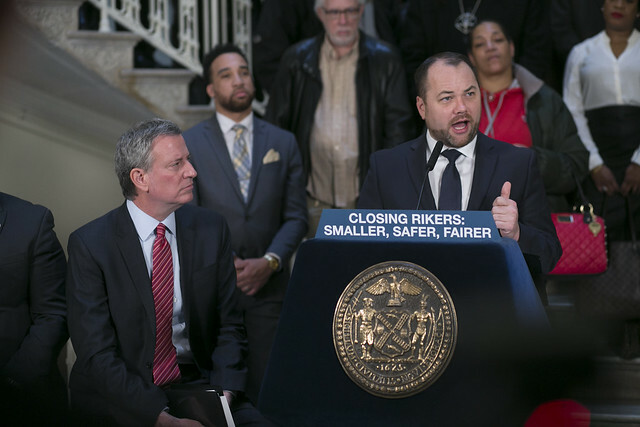 New York Civil Rights Law 50-a has been an impediment to access to police personnel records and is the subject of ongoing debate and litigation. Will you agree to publicly support repeal of Section 50-a? 6. New York’s former Chief Judge famously observed that prosecutors wield so much influence on grand juries that they could get them to indict a ham sandwich. Would you agree to replace the grand jury in all cases with preliminary hearings where witnesses testify under oath and subject to cross-examination? 7. In countless trials, the accused is unable to exercise their hallowed constitutional right to testify on their own behalf because the prosecutor will cross-examine them about unrelated prior arrests or convictions. Will you commit to limiting cross-examination of the accused to just the facts and circumstances surrounding the charges on trial? 8. In order to enhance police transparency and accountability, will you commit to videotaping all interviews with police witnesses and to provide the accused at their first appearance before a judge with a copy of the tape of the initial interview with the arresting officer? 9. In order to enhance police transparency and accountability, and given the systematic Fourth Amendment and Equal Protection clause violations found in the federal stop-and-frisk litigation, will you commit to immediate pretrial suppression hearings in all possessory offenses so that the arresting officers must testify under oath, in public, and subject to cross-examination about what they did and why they did it? 10. The typical Criminal Court complaint drafted by the District Attorney is no more than a few sentences and usually provides no facts regarding the legality of search and seizure. In order to enhance police transparency and accountability will you agree to include in the complaint factual details that support the probable cause for search and seizure? 11. One of the reasons for mass incarceration is the length of sentences that have been meted out over the past several decades. New York has almost 10,000 people serving life sentences. Will you agree to publicly support sentencing reforms to eliminate mandatory minimums, to reduce maximums, and to eliminate enhanced sentencing mechanisms? 12. More than 40% of the 50,000 people in New York State prisons are serving indeterminate sentences and will be eligible for parole. Will you agree to only oppose parole if there is clear and convincing evidence that the individual is a current threat to public safety? Will you publicly support the American Law Institute’s revision to the Model Penal Code that urges states to adopt “second look” legislation that provides for a reexamination of a person’s sentence after 15 years regardless of their original sentence or crime of conviction? 13. More and more, whether in the form of community courts, court watch programs, models of participatory defense, or the role of community groups in fashioning remedies to stop-and-frisk policing, those people most impacted by the criminal legal system are demanding input into how they are policed and prosecuted. In what ways will you cede power over decision-making to the communities most affected by prosecution practices? Most people now recognize that prosecutors were a primary driver of mass incarceration, and some opine that prosecutors are therefore best situated to undo the damage they caused. With limited exceptions, the platforms and promises of self-described progressive prosecutors are hardly profiles in courage. For those who truly want to see prosecutorial reform, it is time to demand more than liberal platitudes.